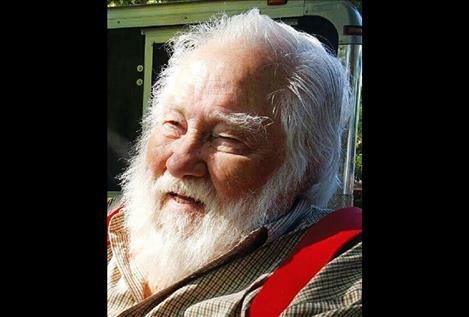 POLSON — David Ray Anderson died of natural causes on July 2, 2018, in Polson. He was born on Jan. 10, 1933, in Buhl, Idaho, to Arvil Olaf and Edna (Worly) Anderson. His siblings included Rulon (deceased), Gail, Howard, Lois, Arvil Jr., Cliff and Karen. The young family resided in Charlo and San Diego, California, before putting down roots in St. Ignatius. Dave married classmate Maxine Schmauch (deceased). To this union daughters, Darcine Mead, Lorinda Dortch, Debra Hess, LeeAnn Anderson and Patricia Tallboy were born. A true renaissance man, David attended Montana State College majoring in architecture. He was employed at Fort Missoula in communication and as an architectural engineer. He spent 15 plus years in Great Falls designing, building and rehabbing residences for neighborhood housing, Neighbor Works, and was instrumental in developing and supervising the high school housing project. The holiday season gave him the opportunity to travel the northwest as a mall Santa. A music gene he inherited from his father inspired Dave to build and repair violins, violas, cellos and mandolins. He was a member of the Old Time Fiddlers and also played with the Three Rivers Blue Grass and a blue grass gospel band. Retirement sent him back to the Mission Valley, golf and fishing. Survivors include his daughters, and their families; wife, Margie Kravcisin Anderson; step-sons, Andy and Nick Matthews and families; multiple grandchildren; great-grandchildren and best dog Daisy. A Celebration of Life will be held at the National Bison Range in Moiese in the day-use area on Saturday, July 28, at 1 p.m. Memorial contributions may be sent to the Great Falls Children’s Receiving Home, Neighbor Works and or to the National Bison Range. Memories and condolences may be sent to the family at: www.thelakefuneralhomeandcrematory.com. Arrangements are under the direction of The Lake Funeral Home and Crematory.